A family deserves to seek justice after someone negligently or wrongfully kills one of their loved ones. Wrongful death is pretty tough to deal with for a family. Not only do they have to cope with the death of their loved one, but they also need to deal with the wrongful death case. They have to prove that someone wrongfully killed their loved one, and that that they have the right to seek justice and compensation for their loss. 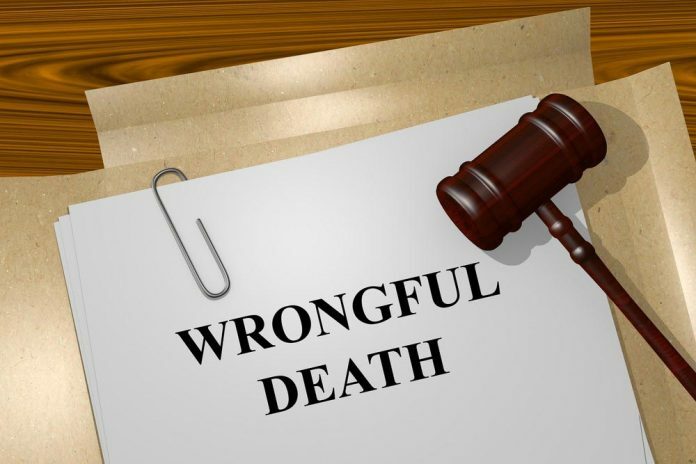 There are four important elements to prove in order to win a wrongful death case. Families who seek justice and compensation for the loss of their loved one should prove each of these elements to win the case. If you think that your loved one was negligently killed by someone, you must prove the negligence of the accused party to win the case. You must have proof of the carelessness, recklessness, and other negligent actions that caused the wrongful death of your loved one. To prove negligence, the defendant should have an established relationship with the decedent where the defendant owes a duty of “due care” to the decedent. Due care is an owed duty where you must keep a person safe, or avoid doing anything can bring harm to that person. One example of this is if your loved one was killed in the hands of a healthcare professional who owes a duty of due care to the decedent. You can argue that the healthcare professional failed to provide the standard of care that he/show owes to your loved one. A judge will be the one to decide if the defendant really owes a duty of due care to the decedent. Another important element to prove in a wrongful death case is the breach of duty. You must prove that the defendant owes a duty of care to your deceased loved one. For example, medical professionals owes their patient a duty of care. They are required to provide the standard of care to their patients at all cost. If a duty is already established, it will be up to you prove how the defendant breached their duty through negligence. You need to present evidence that proves that the defendant has breached his/her duty. For example, if your loved one was wrongfully killed by a negligent medical professional. You must have evidence of the medical professional’s negligent actions or proof of the medical malpractice committed. Other than proving the duty of a defendant to the decedent, you must also prove to the court how the defendant’s negligence has actually caused the death of the decedent. You must next prove how the breach of duty has actually lead to the wrongful death of your loved one. For example, if the medical professional who attended your deceased loved one was negligent in his/her duties or has failed to provide the standard of care. You must have proof of the medical professional’s negligent actions, or proof of medical malpractice, if there are any. Causation can be a hard element to prove especially if the details of the case are very complex. Lastly, you need to prove that the death of your loved one has caused damages. The death of your loved one should have generated damages in the form of medical expenses, hospitalization, funeral, burial costs, lost wages and potential earnings, loss of guidance and inheritance, and pain and suffering. You will have to prove all these damages to win your wrongful death case. Demand settlement or agreement from the defendant. If no settlement or agreement was met, your attorney can help you file a wrongful death lawsuit to take your case to court. Your attorney can also help you gather credible and quality evidence to support your wrongful death case. When dealing with a wrongful death case, you must always get in touch with a skilled and experienced attorney. The most successful wrongful death attorneys are willing to communicate and work with you to help you receive compensation for the death of your loved one. A skilled attorney like these ones here, will help you build up a strong wrongful death case by proving the four important elements of a wrongful death claim mentioned above. Previous articleWhen should you visit a cosmetic dentist? Casey is a law student hoping to one day make it big as a lawyer in New York. She currently works hard writing law articles to help those understand legal topics better. When she's not studying, she's out with her friends.